The FinnCycle tops out at around 15 mph. 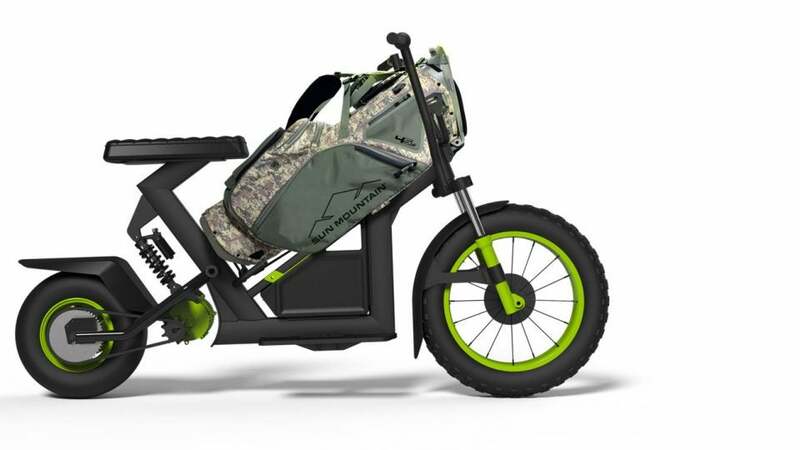 Because your basic golf cart is so yesterday, electric-vehicle manufacturers have started getting pretty innovative when it comes to ways to get you and your bag from one hole to another during a round. GolfBoards — the easy-to-ride electric vehicles that operate like surf and skateboards — are well known and popular, and golf scooters have also started to make inroads. 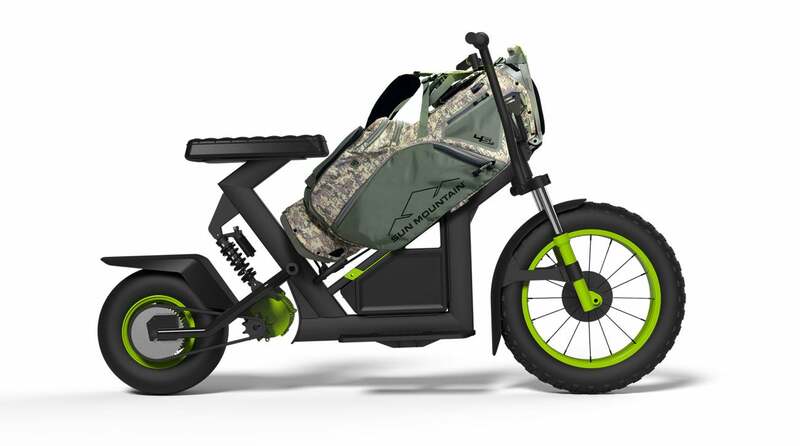 But the latest player to enter the game is an ultra-cool motor bike produced by Sun Mountain Motor Sports, an affiliate of golf bag, golf push cart and golf outerwear company, Sun Mountain Sports. Sun Mountain's FinnCycle tops out at around 15 mph — similar to a typical golf cart. The FinnCycle by Sun Mountain is an electric, bag-toting scooter (with a more macho, motorcycle look) that’s a ton of fun to ride and allows you to get in 18 before breakfast. In fact, the ability to play sub-two-hour rounds is one of the FinnCycle’s selling points. It tops out at about 15 MPH (similar to a standard golf cart), with a lithium battery that lasts for more than two rounds. As you can see from the photo above, your bag is secured right to the frame of the bike. The secret behind those super-fast rounds? The single-rider design. FinnCycle can help players get around swiftly by encouraging ready golf. When you are able to go directly to your own ball instead of detouring to your cart mate’s, your round will naturally be faster. The FinnCycle has both front and rear suspension to ensure a comfortable ride. A hydraulic disc brake brings you to an easy stop. When you rent a FinnCycle at a golf facility, you can operate it via a proprietary app that unlocks the cycle for use and collects the usage fee — all on your smart phone. There are currently about 100 courses offering them for rent (public release is spring 2019). Rev one up when you can.